Lemon Winter Savory (satureja montana citriodora) - Interesting and useful savory has a spicy lemon scent and flavor. Can be used in place of regular savory in any recipe. 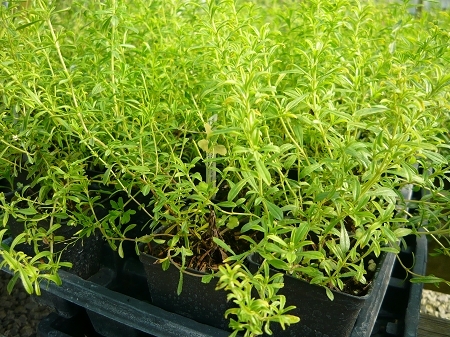 Culture and growth habit is similar to regular winter savory though it does tend to stay somewhat more compact and makes a good container plant. Small white flowers appear in late summer or early fall. Likes sun and well drained soil. Perennial zones 3 - 8. Live plant in 3" container.